After Bistro! From Baudelaire to Picasso (2017) and Wine and Music, concords and discords (2018), La Cité du Vin presents Mind-blowing! When art and design meet glassfrom 15 March to 30 June 2019. In a refined setting, the exhibits will sometimes be functional, but more often symbolic or re-purposed. Creations from Gaetano Pesce, Hubert Le Gall, Achille Castiglioni, Arik Levy, Jean-Michel Othoniel or Philippe Starck will rub shoulders with original works from Matali Crasset and the film-maker Jérôme de Gerlache, created especially for the exhibition. Mind-blowing!has been created by the Foundation for Wine Culture and Civilisations and guest curator Bettina Tschumi. A 100% contemporary exhibition. Nearly a hundred glass exhibits produced in the past 20 years will be unveiled to visitors as from 15 March 2019 by the Foundation for Wine Culture and Civilisations. Glass artworks, drawings, projects and performances as well as video works to explore, through the exhibition, the creative process of transformation. 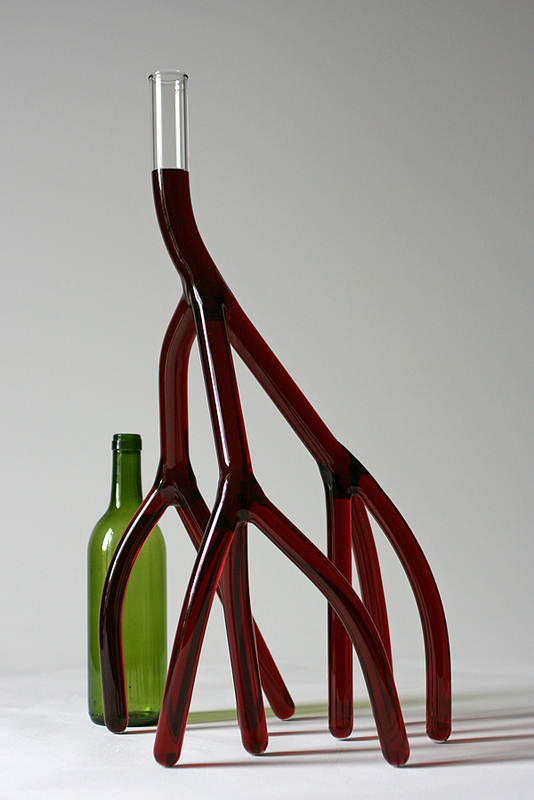 From sand to glass, from grape to wine, from the utilitarian object to the original work. The bottle, the carafe or the drinking glass therefore become the starting point for a broader reflection, leading visitors to the creative diversions of artists and designers who invent surprising and often poetic works. By focusing on transformation and in particular glassmaking processes that combine tradition and experimentation, the exhibition will also echo the winemaker’s craft, following the work of Stéphane Derenoncourt (biodynamic producer) over the course of a vintage. 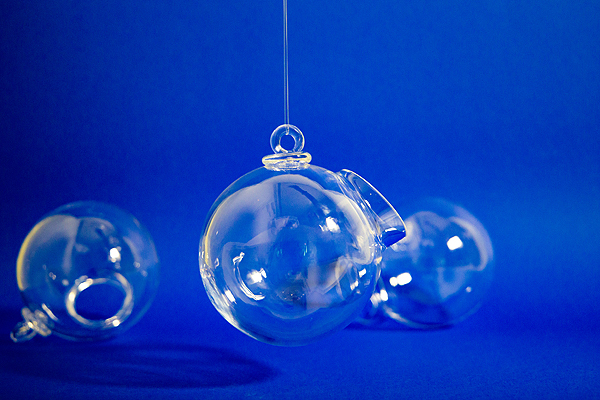 - Unique and ethereal, the nomadic “drinking object” Vino Sospeso, signed by Matali Crasset and produced by the CIAV glassmakers in Meisenthal, will hang from the branches of an imaginary tree, as an invitation to a tasting surrounded by nature. 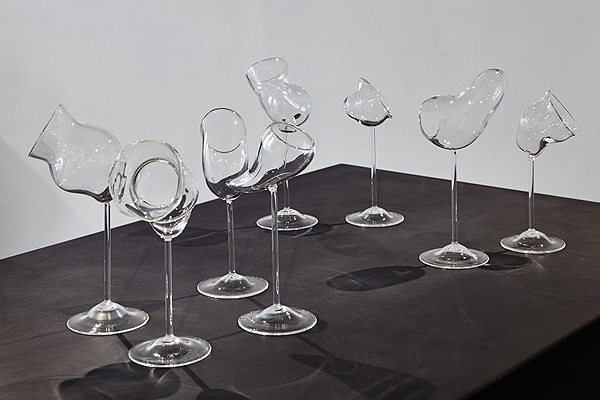 - Highlighting the importance of the creative gesture expressed in Bettina Tschumi’s project, film director Jérôme de Gerlache will make the link between wine production and working with glass. Jérôme de Gerlache will take the visitor on a journey over the course of a vintage alongside winemaker Stéphane Derenoncourt, and will get close up to designer Matali Crasset during the process of creating Vino Sospeso.A chance to pause and discover the five wide-format screenings that will punctuate the exhibition. First-rate artists and designers from France and abroad. 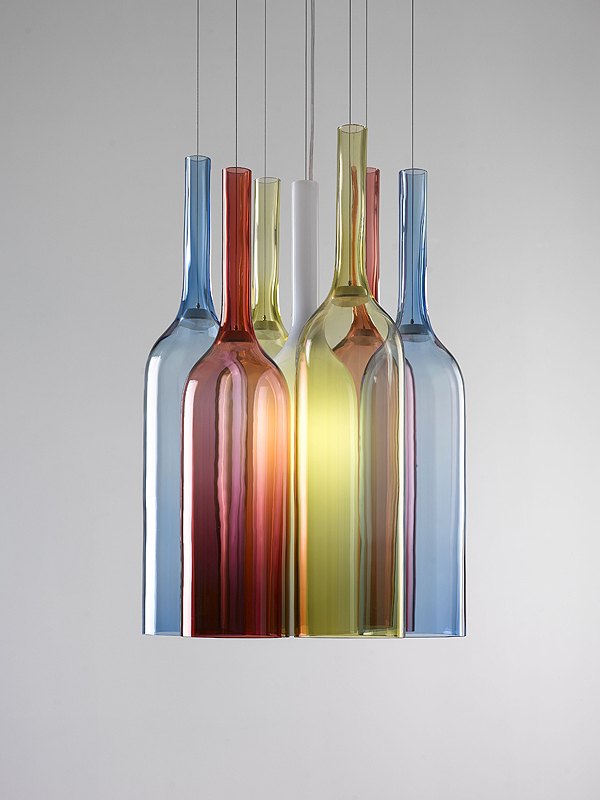 Both glass and wine express an identity and research borne with sincerity and commitment by the featured designers and artists, offering visitors a unique and remarkable experience. Nicolas Boulard, Achille Castiglioni, Matali Crasset, Octave de Gaulle, Fabrice Hyber, Hubert Le Gall, Arik Lévy, Beth Lipman, Jean-Michel Othoniel, Gaetano Pesce, Philippe Starck, Fabien Verschaere, and many more besides will embody the expressive diversity of glass as a material through their creations. Works will be brought from the United States, Spain, Belgium, UK, Austria, Switzerland, Czech Rebuplic and Italy to meet visitors to La Cité du Vin in Bordeaux. French creative work will be widely represented, in particular through a rich selection drawn from two exceptional glassworks, CIRVA (the international research centre for glass and plastic arts) in Marseille and CIAV (the international centre for glass arts) in Meisenthal. La Cité du Vin is offering a rich and eclectic cultural programme around the exhibition, from 15 March to 30 June 2019. Many cultural and interpretation events will take place throughout the duration of the exhibition. A catalogue will be published by Editions 5 Continents. About Bettina Tschumi, exhibition curator. Bettina Tschumi studied art history under Michel Thévoz at the University of Lausanne. After working at MAMCO in Geneva and making an inventory of a large collection of contemporary Geneva art, she assisted the director of the Swiss Institute for the Study of Art on various projects, including the Dictionary of art in Switzerland. Curator at Mudac, the Museum of Contemporary Design and Applied Arts in Lausanne between 2003 and 2015, she was in charge of the management and development of the contemporary glass art collection. Bettina Tschumi has worked as a freelance since 2016. Exhibition curator, author and researcher at the Fondazione Giorgio Cini in Venice, she works regularly on international projects. About Matali Crasset. 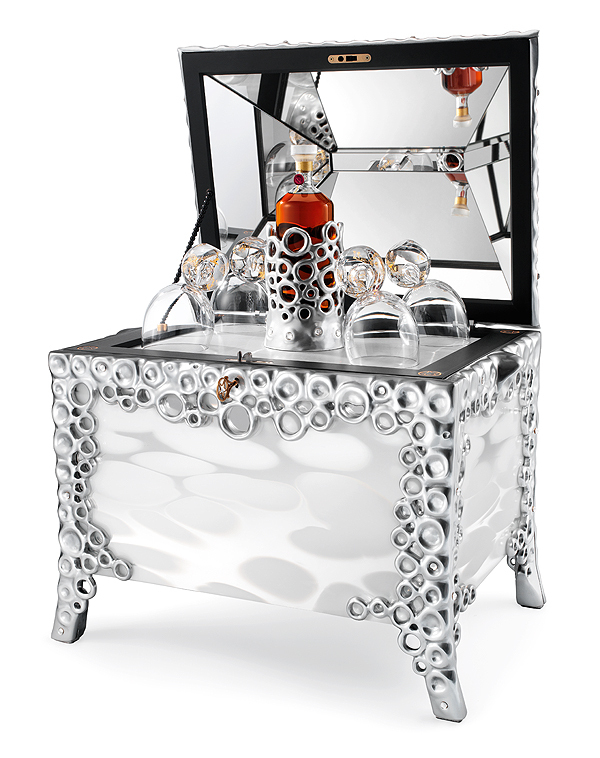 An industrial designer by training, Matali Crasset was one of Philippe Starck’s collaborators. Through a global approach to projects, her intention is to question our relationship with objects and to free ourselves from codes so obvious that they govern everyday life. Known today throughout the world, Matali Crasset works with major brands such as Ikea, Orangina, Seb and Artémide. She works in diverse fields, from craftsmanship to electronic music, from the textile industry to fair trade. Her creations have led her to unexpected areas, from set design to furniture, from graphics to interior design. About Jérôme de Gerlache. Jérôme de Gerlache is a graduate of the image department at INSAS in Brussels. He began his career in Belgium as director of photography on short films and commercials. He moved to Paris in 2005 and became a film director. He made his first short film, L’entretien, in 2009. The film was selected for several European festivals, and Short-Shorts in Tokyo. In 2010, his short film Do you want to know more about Belgium?was a success. He then directed several short fiction and documentary films that travelled to various international festivals. Jérôme de Gerlache is interested in music, dance and glass. In 2016, after a year of selections and awards at numerous festivals around the world, his full-length documentary Heart of Glass was released in French cinemas. At the same time, he has produced several music videos for various artists. About bGcstudio, exhibition designer. bGcstudio, an architectural and set-design agency based in Paris, was created in 2009 by Giovanna Comana and Iva Berthon Gajšak, architects who had developed multidisciplinary skills directed towards cultural projects. After a first exhibition at the Musée de Cluny in Paris, bGcstudio has created set designs for many institutions in France and abroad, notably the Petit Palais (Baccarat, the legend of crystalexhibition), the Picasso Museum, the Fondation Cartier, the Arab World Institute, the MuCEM in Marseille and the Louvre-Lens. About La Cité du Vin: La Cité du Vin is a new-generation cultural site unique in the world, where the soul of wine is expressed through an immersive and sensory approach at the heart of an evocative architecture. La Cité du Vin shows wine in a different way, across the world, across the ages, in all cultures and in all civilisations. It offers a permanent tour, temporary exhibitions, wine-culture workshops and numerous events. Visitors can book their tickets on the website www.laciteduvin.com and on the door. Lighting of the Mind-blowing! exhibition is by Philippe Collet (ABRAXAS Concepts). Like the entire cultural programme, this exhibition is supported by private and corporate patrons. Thanks to donations from individuals and companies, the Foundation for Wine Culture and Civilisations, a recognised public-interest organisation, is able to offer a rich and varied cultural programme throughout the year at La Cité du Vin It can thus transmit the age-old culture of wine to the greatest number possible, illuminating its meaning and helping to protect this intangible and universal heritage. In September 2018, La Cité du Vin is open every day: from 10am to 6pm (Monday to Friday) and from 10am to 7pm (Saturday and Sunday). Adult full price: €20 – including the permanent tour with the interactive travel companion and a tasting of world wine in the Belvedere. This ticket also includes entry to the temporary Guest Wine Region exhibition (Porto: Douro, an alchemy between air, land and river), from 5 October 2018 to 6 January 2019.